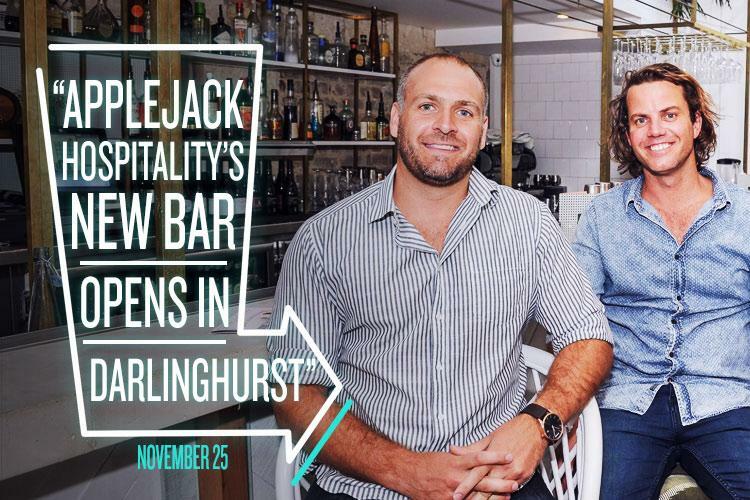 The state government’s lockout laws may be stifling Oxford Street by starving the notorious nightlife strip of customers, but this hasn’t dissuaded the boys over at Applejack Hospitality. The team behind some of Sydney’s coolest small bars (including Bondi Hardware, The Butler, SoCal, and The Botanist) have set their sights on Darlinghurst with their next offering – Della Hyde – located at 34 Oxford Street, which is set to open on November 25. Named after the silent-era Hollywood actress, Della Pringle, and referencing the bar’s proximity to Hyde Park, Della Hyde combines the cosmopolitan air of contemporary Sydney with the elegance of bygone eras. Picture soaring columns, grand leather furniture, and dim lighting but with showcasing the very best of modern food and drink trends. Inspired by the faded glamour of the Hawa Mahal, or Pink Palace, in Jaipur, the small bar will set up shop in the former site of what co-owner Hamish Watts describes as a grand hotel lobby-esque bar. The grandeur of the setting will be reflected in the offerings with a strong focus on sophisticated cocktails, laidback DJ sets, and delectable bar snacks. Simply put, it’s safe to say that the Applejack crew have decided to stick to their strengths. Surfing the wave of cold-drip coffee mania that seems to have swept Sydney in recent months, the planned cold-drip infused cocktails have already got tongues wagging and will no doubt provide a much-needed jolt of caffeine for the after-work crowd. Food will be substantial enough to constitute a decent dinner for those on their way home from work but also light enough to snack on for the peckish punter. Judging by the success of their previous ventures, getting a seat come November 25 will be easier said than done!